might now be used to pay for your sessions. Our merchant account (Credit card processor), typically accepts/processes your FSA/HSA cards without question. 1. Check with your HR department to find out what steps/hoops you will have to do. We can provide you with an RX specifically to us if needed. This can make your Dr.s office very happy. Lic #, name, address and ALL that you/they will need. I promise to serve my clients confidentially, professionally, and proudly within a therapeutic atmosphere. I promise to listen to the needs of my clients and assist them in creating life-long, customized health choices through stretches, and body work. Massage has roots in both Eastern and Western cultures. 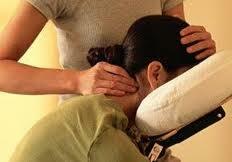 Massage is a natural, drug-free way to manage stress, promote health and to reduce fatigue and pain of injury.